As someone who made a career out of combining art and science, you might guess that I’m a fan of science in literature as well. And you’d be right! Here are some of my favorite non-atlas anatomy books. I happened to read this book while I was in grad school, shortly after I had dissected my third cadaver (we named her Maude, and yes, most students have affectionate names for their cadavers). While most people who choose to donate their post-mortem bodies to science might assume they will be used in this manner—the medical school dissection lab—in truth most cadavers are used in far different manners. 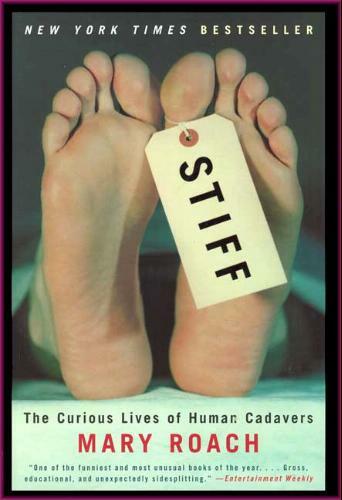 Stiff explores the many ways cadavers are used to further scientific endeavors of all kinds. Maybe not for the faint of heart. Let’s just say since reading this book, I’ve never flown on an airplane without thinking about it. That will make more sense once you read it yourself. 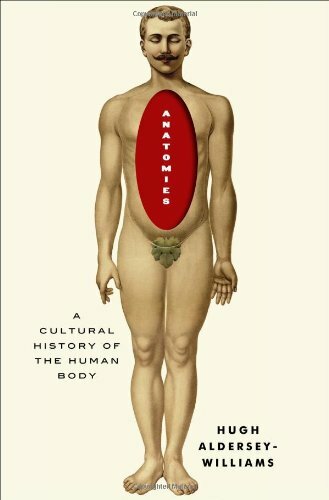 I will choose to ignore the fact that this cover illustration is obviously not the work of a Certified Medical Illustrator, because I have thoroughly enjoy Roach’s humorous yet factual and heavily researched insights into the human body. 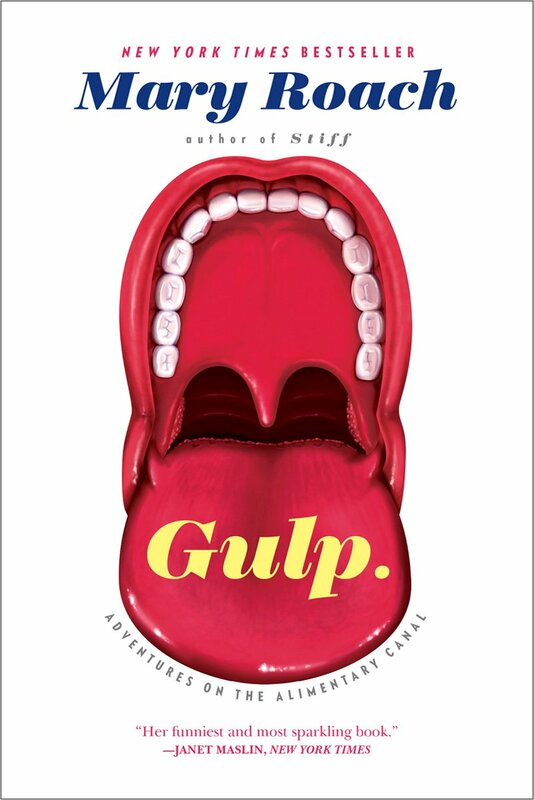 Gulp, her most recent work, details not only the science of digestion from the tip of the tongue to, well, the other end, but also various historical anatomical thinkings and the usual oddities that she digs up. Bonus: Elvis’ megacolon discussed in detail. Truthfully, I’m in the middle of this book, but it’s a fascinating and heartbreaking look into bioethics and the sad history of medical experimentation. Henrietta Lacks was a patient with an extraordinarily fast-growing tumor who sought treatment at Johns Hopkins Hospital back in the 1950s. 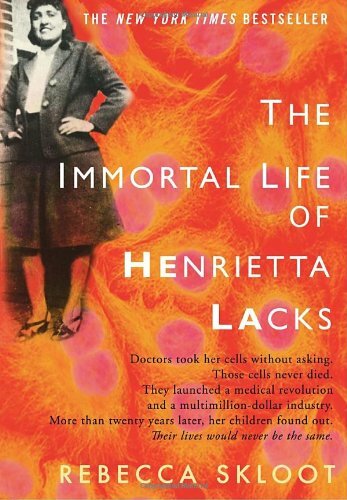 Scientists there took some of those cells—unbeknownst to her—and for the past 60+ years have been using the HeLa cells to develop a treasure trove of life-saving medical treatments. This book is slated to be made into an HBO movie in the near future, can’t wait to see it. Another current read (I read a lot of things at once? Is that weird?). This one I am maybe a little tiny bit lukewarm on, but I think that’s more the writing style than the information, which is great. I do really hope he gets to interviewing a medical illustrator somewhere in here, because it is tantalizingly close—he sketches alongside art students in a cadaver lab, talks a lot about human proportions, mentions da Vinci here and there—I’m not quite sure he realizes that medical illustrators exist. I saw Bill Hayes speak a few years ago at my association‘s annual meeting, and it was fascinating! 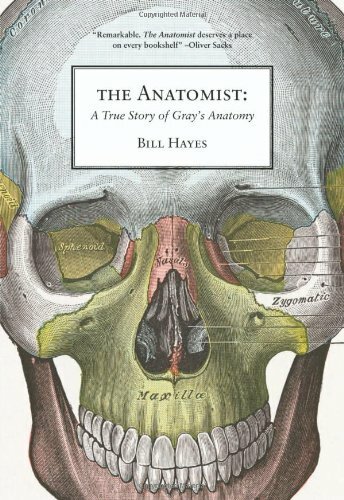 The Anatomist dives into the story behind the creation of one of the most influential and well-known anatomy books (not the tv show), Gray’s Anatomy, largely through the journals of the book’s illustrator, Henry Carter. Mr. Hayes also forced himself through a gross anatomy dissection course, which is always an interesting event to experience first-hand. Do you have a favorite book that touches on anatomy that I didn’t include here? Leave a note in the comments!